Who needs a full deck when you have four aces…and a joker? For those who relish that variety is the spice of life, choose from Ace’s five unique flavors: Apple, Pear, Apple Honey, and Berry, which is a mixture of raspberry, blackberry, and strawberry juice added to fermented apples. Their newest jam, the Joker, is the first champagne-like cider. Pop it like it’s hot! Orchard Gate Gold is fermented naturally in small artisanal batches from a proprietary blend of organic apples grown here at our Koan Family Orchards in Michigan. We have produced hard ciders here since the 1860s. This is the same traditional recipe that helped save our farm during the great depression. There will be slight variations from batch to batch, just as nature makes no two apples alike! Our orange blossom mead is made from the honey of orange and other citrus trees, and is aged on American oak. the light-colored honey comes from beekeepers that place their hives in the middle of fields of orange groves. This mead ages well. This fantastic mead recipe was shared with us by guest mead maker Jamie VanKuren (known on Gotmead.com as Yo Momma). Almost 3 pounds of fresh wild strawberries were used per gallon to deliver a beautiful aroma followed up by incredible flavor. Simply a classic mead to share with someone special. If you never tasted mead and you really want to give some a try in a way that you get a real tasting of what mead is then this is the product you should buy. It it characteristically mead tasting - plain mead with no flavoring. Now the unusual thing about that is that if you never tasted mead you may be surprised. It is different than wine. Some people like it and some people don't. 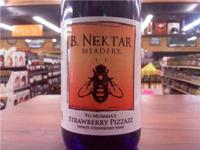 So give this a shot if you want to give mead a try. The alcohol is 12% by volume. They use a variety of honey types and Montrachet yeast. Classically refined, but not styled as a traditional "sweet beer" beer alternative, Crispin ciders are crisp and clean, not sweet and sticky and never sacrifice superior quality refreshment satisfaction for overbearing complexity. Always true to the apple, Crispin Hard Ciders naturally fermented in the USA use fresh pressed apple-juice, not from apple juice concentrate, from a premium blend of US West Coast apples, with no added malt, grape wine or spirit alcohol. Crispin’s unique USA produced ciders are smoothed with pure apple juice or from natural sugar sources like organic honey or organic maple syrup, and contain no added colorants, sorbate or benzoate preservatives. Crispin ciders have 7 different varietals - Original, Light and Brut; classic European styled crisp clean ciders, Browns Lane; an imported classic English dry cider, and our line of Artisanal Reserves; Honey Crisp, The Saint and Lansdowne - unfiltered "cloudy" ciders, ground-breaking "craft beer" uniquely American ciders. 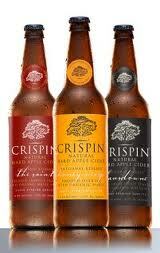 Crispin ciders are all Gluten Free for the wheat-intolerant person. Mead is the most ancient type of fermented beverage, thought to pre-date the cultivation of land. 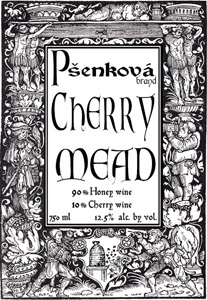 Psenkova Cherry Mead is technically a melomel, which means it is made from the typical mead ingredients of honey, water, and yeast, but has the addition of fruit. Melomels are one of the oldest ways to preserve fruit, allowing one to enjoy the taste of Michigan cherries long out of season. The Stelvin screwcap closer ensures that there is no chance of developing flaws, as there is with a cork. If cellared properly in a cool, dark place this mead will continue to mature for over a decade. Original Sin was born out of the NYC experience. The founders, all NYC'ers, came to see the need for a superior cider, a cider that was clean and complex with a noticeable bite. The quest to creat the perfect recipe encompassed both day and night. Day was spent in upstate in a winery, tasting, testing and mixing. Nights were spent in NYC bars, getting feedback from bar owners and patrons. 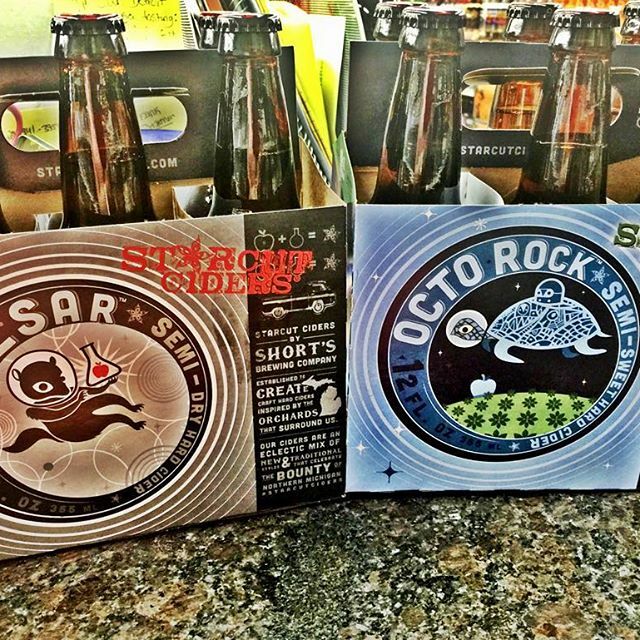 The result, Original Sin Hard Cider was released to immediate acclaim from sources as diverse as the The New York Times, Paper Magazine, and Market Watch. We love making cider, but we recon there is only one way to do it properly. Thats why were still taking inspiration from the historic method we used when we started making cider back in 1935. Thats part of the Magners taste. so is the way we use over 17 varities of apples, waiting untill they drop before pressing and filtiring them in the traditional way. We take time to ferment the cider and even more time to mature, up to 2 years in fact, tasting it along the way. 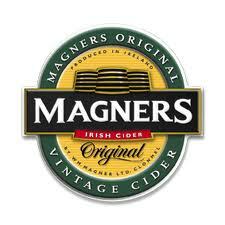 Sure there is a faster ways making cider, but then it would not be Magners!